Happy Friday! 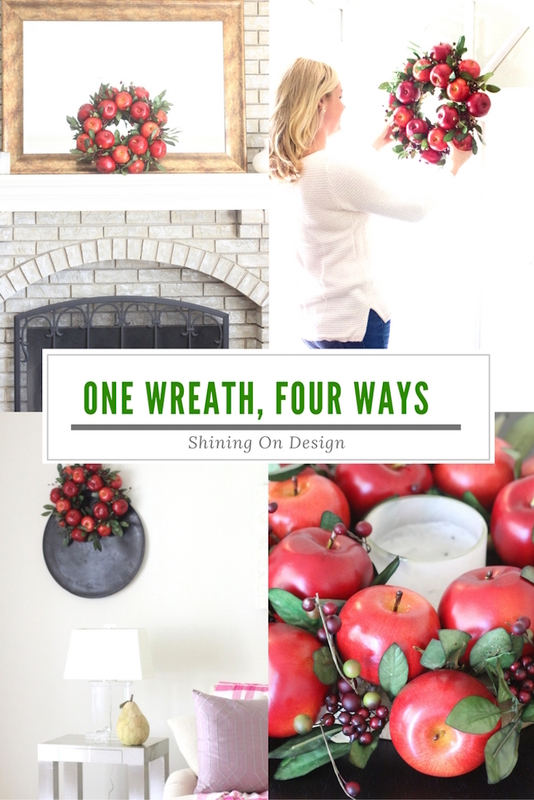 Today, I’m sharing 4 ways to style and display your wreath. But first, it’s hard to believe kids are already going back to school! I still have a couple years at home with my girls before they start school but I’m curious.. are parents REALLY excited for this time? Or do you dread it? 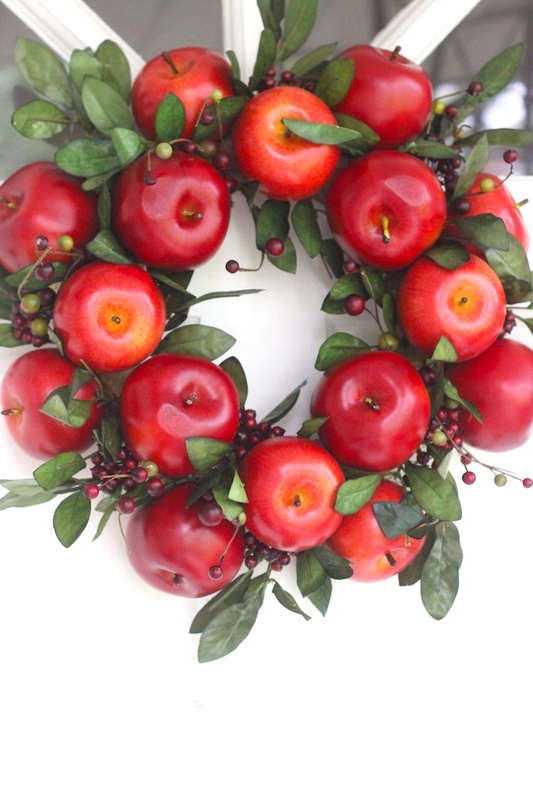 And teachers.. wouldn’t this apple wreath be so cute on your classroom door?! I teamed up with ATG Stores (a Lowe’s company) to bring you some looks for fall, including this wreath which is perfect to take your entry from summer to fall. More fun looks and tips coming soon, so stay tuned! 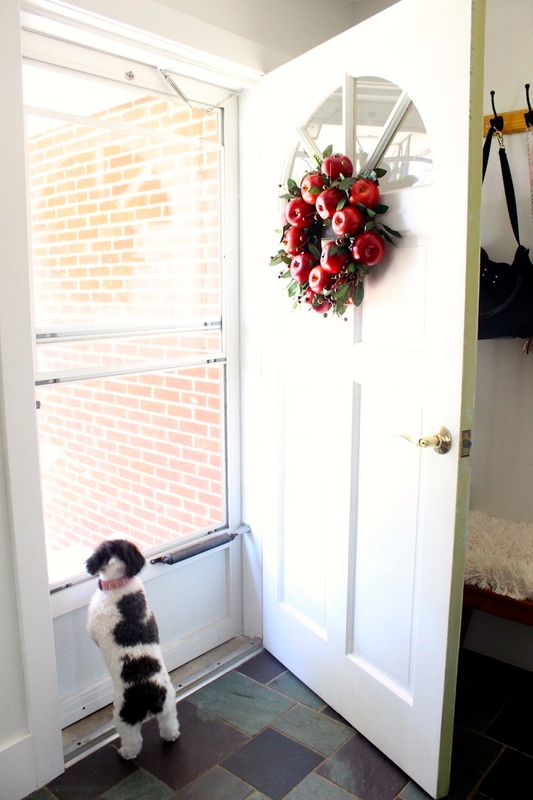 Front door, classroom door, entry gate or hung on a fence – a wreath gives a warm welcome to guests. Whether you go all out for seasonal decor, or just want to add a couple things, I recommend starting with your entry. 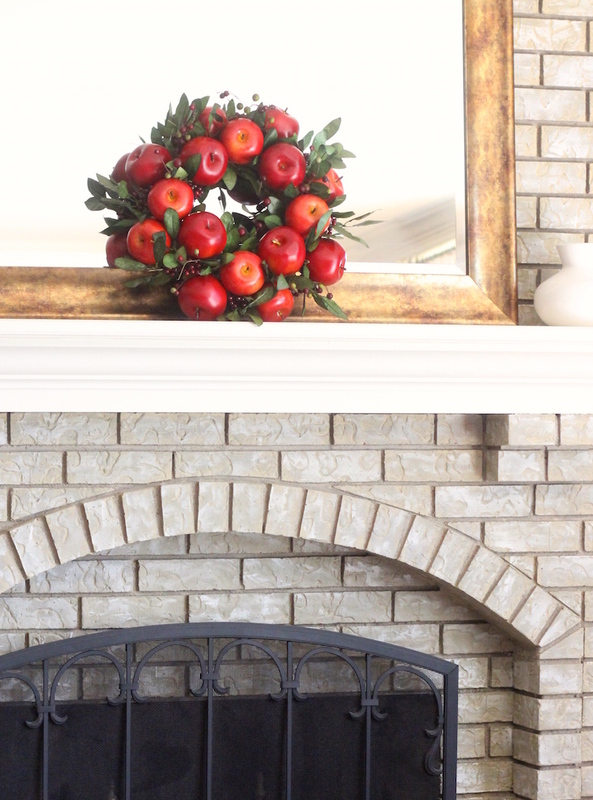 Hang a wreath high, or have it sit on the mantel. 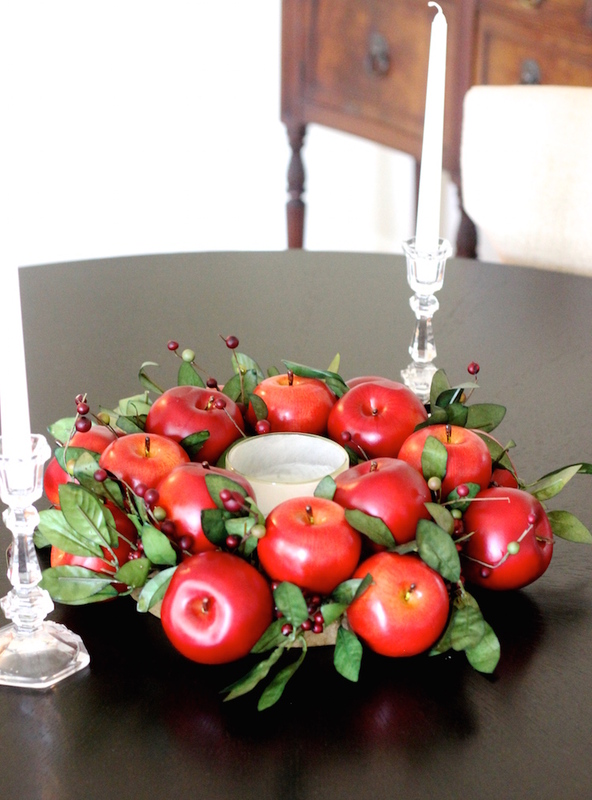 This apple wreath comes in 2 sizes (small and large, link below) and this is the smaller size. It’s sitting on a mantel in front of a mirror which is so simple but adds a lot. For more of a statement, go with the larger size (23 in diameter). I’ve seen wreaths in frames too on the mantel – so creative! 4. Over your wall decor. 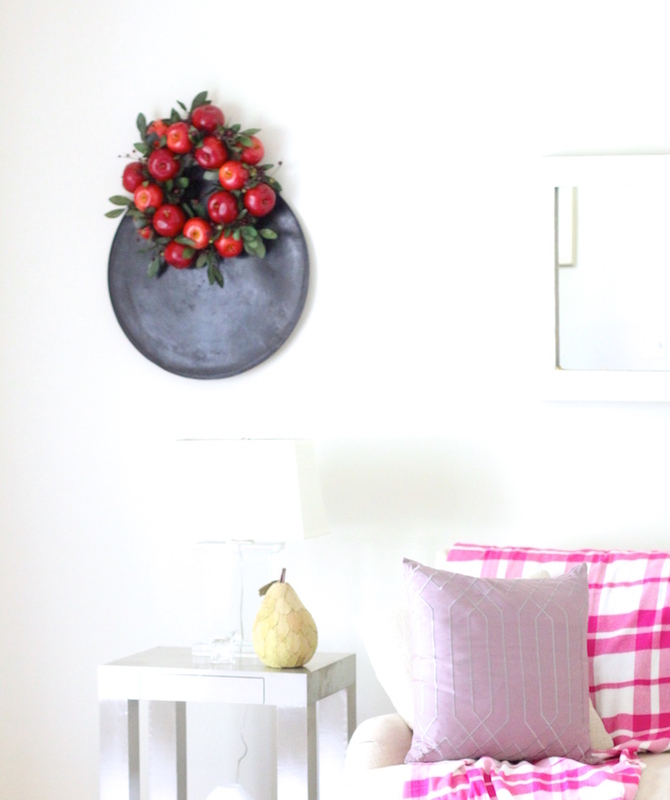 Dress up your wall decor with a wreath. From frames, to artwork. Think of adding a wreath as just another layer! And we all need a few extra layers as the temps get cooler.. Thank you ATG for gifting me this beautiful wreath! 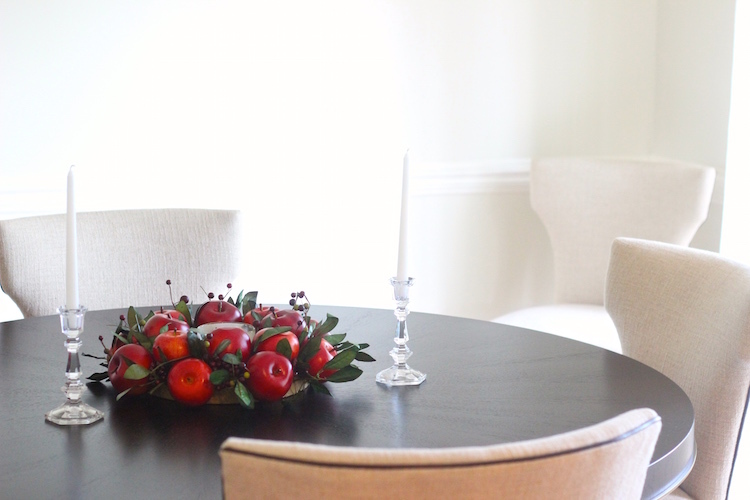 I can’t wait to share the rest of the items while I freshen my home up for fall. 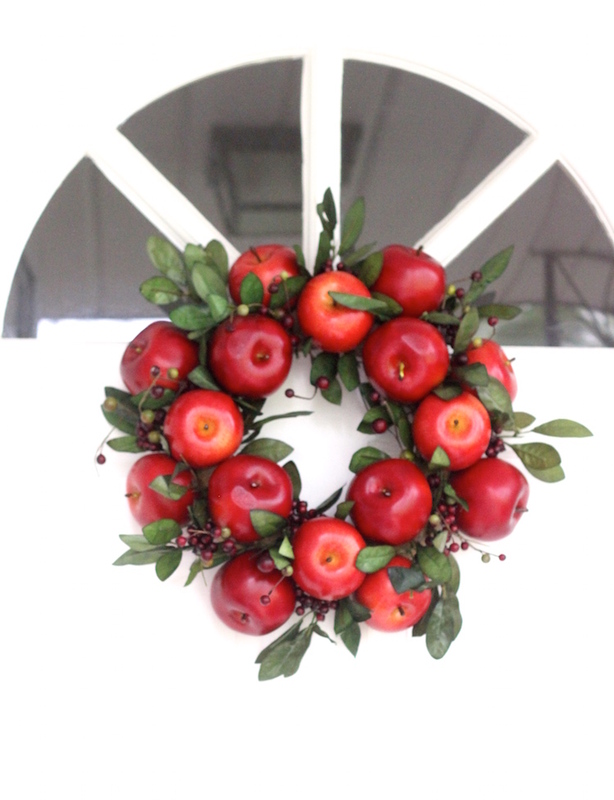 This wreath is available to purchase on ATG stores website in 2 sizes. I have the smaller one (19 in. diameter). 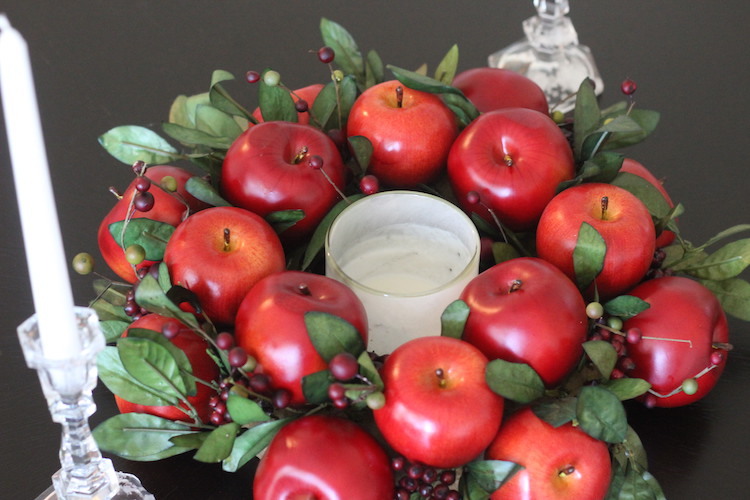 Here is the link if you would like to purchase: Fantastic Apple Wreath. I love mine and will have it up until winter comes! Just love everything about this! Your blog is darling.